In a high humidity environment, it is important to make sure that moisture is not getting the best of your property. Every work or living space is susceptible to clutter forming along their roofs. When this clutter combines with moisture, it creates a whole lot of issues for property owners. Instead of going head to head with nature, call our Gorillas to help you find a happy medium. Our Lunenburg roof cleaning and moss removal is always available to help you handle the problem area around your property. The most important thing to consider when tackling the heights around your home or business is safety. Your roof can be a treacherous place, especially if it has been made into a slippery surface. As organic debris collects moisture, it is not unusual for moss to form around it. This unwanted growth spreads, creeping under and shingles and ruining the construction materials underneath. This moss makes the surface of your roof extremely slippery, so getting up there might be tricky but staying on your feet is a real challenge! Instead of taking a chance with shaky balance, let our Gorillas do the work for you. Each and every Gorilla is goes through a lengthy safety training process before heading out into the field. In addition to being safety experts, our Gorillas always operate with insurance, so you have nothing to worry about. All of our Gorillas are committed to providing our clients with a well-rounded result for our Lunenburg roof cleaning and moss removal. It all begins with a round of decluttering. 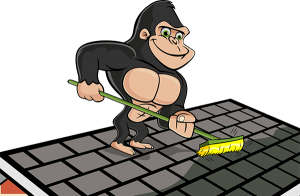 Instead of just sweeping clutter off of the edge of your roof, our Gorillas are careful to remove it properly. Once clutter is removed, our Gorillas have a clearer picture of any and all moss growth across your roof. Tackling the spread of moss with the wrong tools can cause large-scale damage. Prolonged exposure to moisture can wear away at building materials, softening them and making them susceptible to damage. Approaching these softened materials with the wrong tools can scrape away layers that are necessary for the structural integrity of your property. 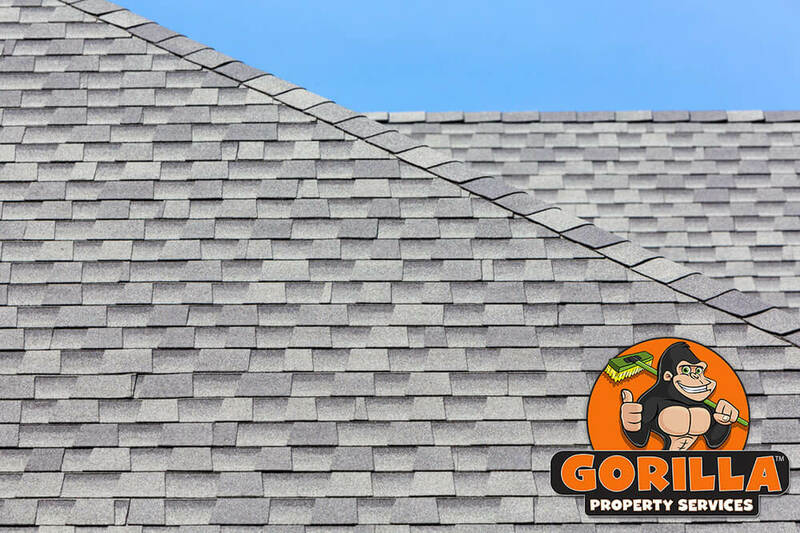 When you call in a Gorilla for your Lunenburg roof cleaning and moss removal, you are protecting your property from any unnecessary wear and tear.